Andrew grew up in small town Mississippi and discovered Rockmont while in college at Mississippi State University in 2013. He was a Cabin Counselor for two summers and has since been the Program Director, year-round Intern, and Bear Camp Director. Rockmont has been a place of deep Christian community, love, and friendship for Andrew. 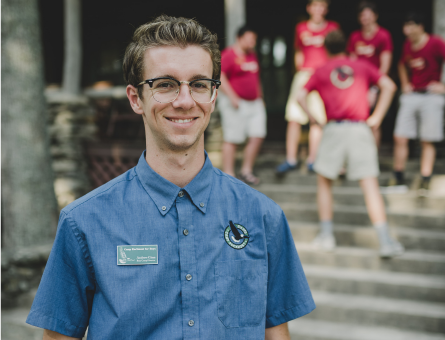 He believes Rockmont creates an environment that helps campers and staff understand the calling to love God and to love our neighbor with real seriousness. After meeting and marrying at camp, Andrew and his wife Sadie are grateful to call Rockmont home. He enjoys good coffee, campfires with friends, a good classic novel, and sitting on the porch with Sadie in the evenings.